One of America’s favorite pastimes is bowling - but why should humans have all the fun? I found this cool video of a bird, known as a Salmon-Crested or Moluccan Cockatoo, playing with a toy bowling set. He (or she) does a pretty good job! My last outing wasn’t as successful; I slipped and broke my foot! Oh well, it will heal. But my advice to this little guy is to keep the celebration to a minimum! 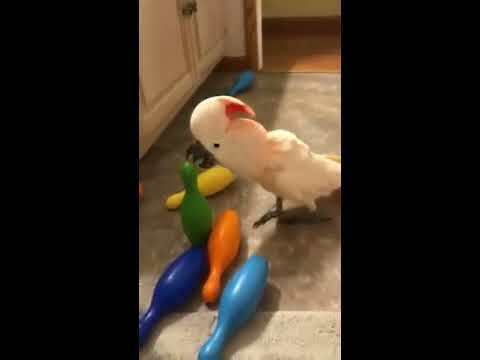 Set em up and knock em down - this cockatoo is going for a turkey! 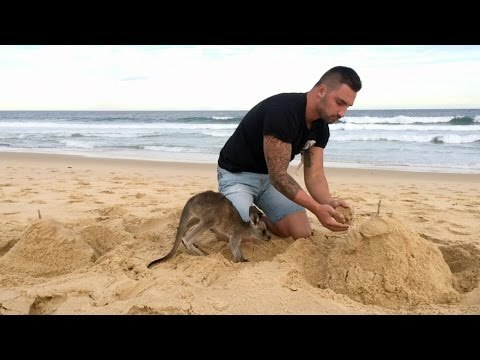 Man and his pet kangaroo do everything together!